Everybody loves a personalized gift and what else makes a present more personalized than a custom photo! Let’s begin with the easiest option for Christmas. Take a beautiful picture of your wife, girlfriend, or your kids and spend a little money on a custom frame. Custom framed gifts are well presented (seriously, you wouldn’t even have to frame it!) and totally personal to your photograph. Custom framing just fits a picture better than a typical store-bought frame. If you don’t find any of the other photo Christmas gifts on this list inspiring, then keep to the basics. Photographs that are printed on a canvas make for cool artsy Christmas presents. You can select a variety of sizes and styles. A good canvas photo is museum quality and well made. Whether it is framed or not, a canvas is a fun gift either way. Create a conversation piece this Christmas with a canvas photograph. After all, a work of art is bound not to go unnoticed! Looking for personal, but practical photo Christmas gifts this year? 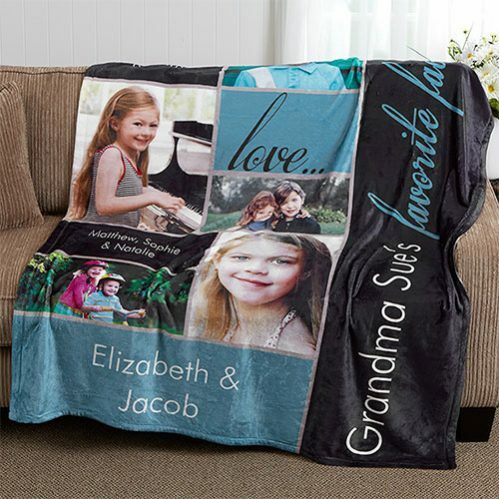 A photo blanket is a usable portrait for Grandma or whoever you want to send some warmth to this season. Custom blankets are made with quality materials that are printed edge to edge. Just upload your favorite photo of mom, dad, or your kids to create a smart and brag-worthy photo holiday gift. Custom photo blankets can be used as lap blankets or hung on the wall as a beautiful tapestry. Blankets make photo Christmas gifts versatile and double special! Do you have a budding superstar in the family? If so, give them a personalized magazine cover. Covers measure 8”x 11” and can be customized to fit your homegrown celebrity. You can also order a standard template. 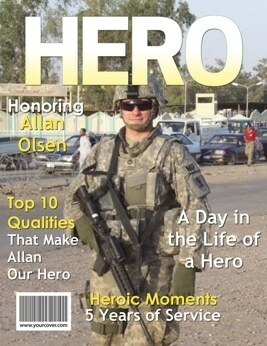 A personal magazine cover is a unique and maybe amusing photo Christmas gift idea. It is a great piece of art to hang in a dorm room or office. Going back to the simple approach of photo Christmas gifts, a customized engraved frame is a thoughtful gift this holiday season. 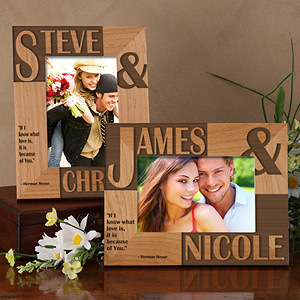 Engraved frames with loved ones’ names or maybe important dates are a unique and personal Christmas gift idea. Sometimes a meaningful or romantic quote is included in the design. Unlike custom framed photos, a personalized picture frame comes in the standard sizes 4”x6”, 5”x7”, and 8”x11’. Just pick the size of photo you want to frame and send the customization information. Photo Christmas gifts are a wonderful way to celebrate the accomplishments of the year. 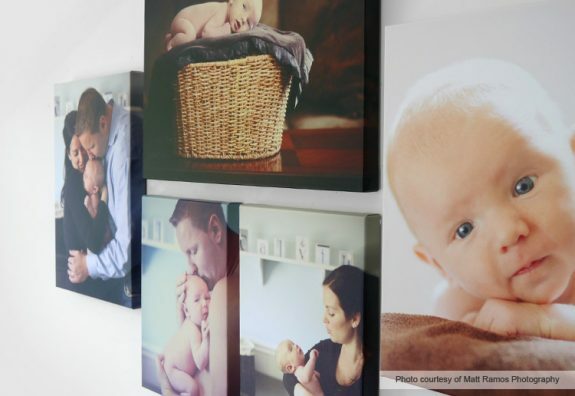 There are dozens of designs, products, and methods to display your family photos. Just pick which method best suits you. A cozy photo blanket? Or a personalized work of art? 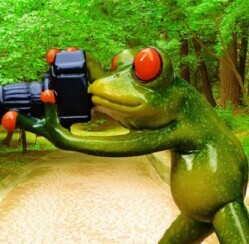 No matter which you choose, a photo is a personal way to let somebody know you are thinking of them.